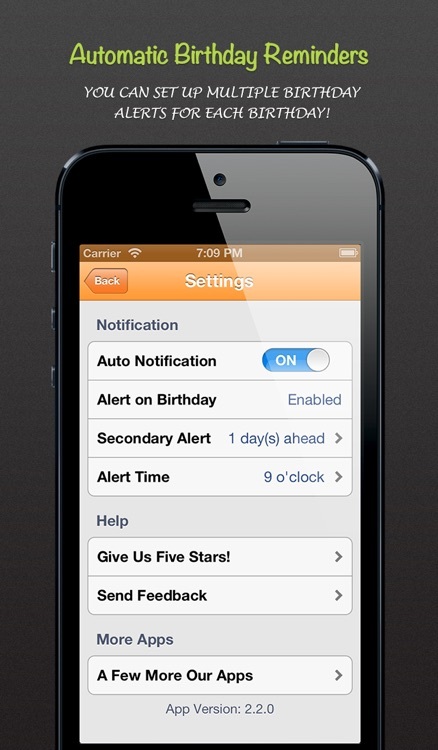 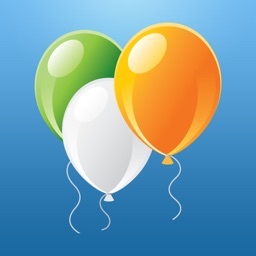 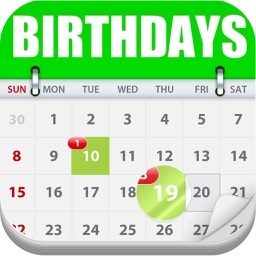 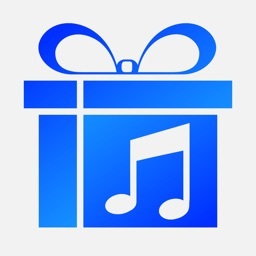 ★ You can import all your friends’ birthdays from Facebook and from iPhone contacts in seconds! 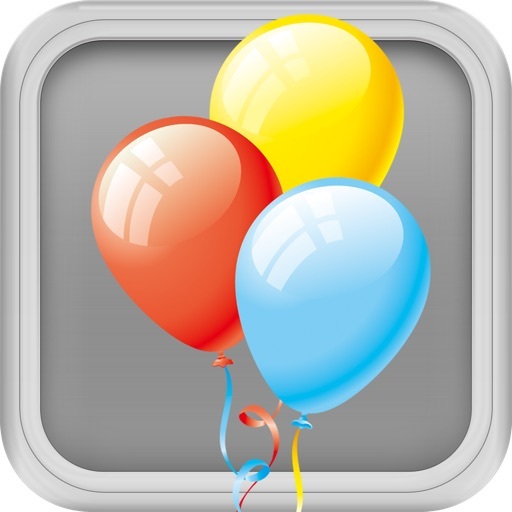 ★ Easily message your friends and wish them "Happy Birthday" along with custom message with just one click! 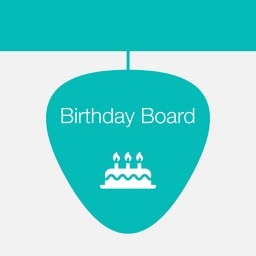 ★ It's never been easier to send a happy birthday greeting card: you can personalize and send a beautiful retina-quality eCard in just two clicks! 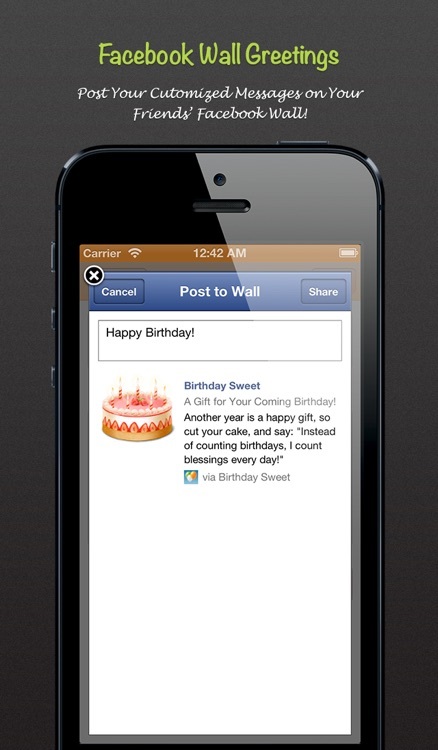 ★ Post birthday greetings and the stylish birthday cards to your friend’s FB Wall! 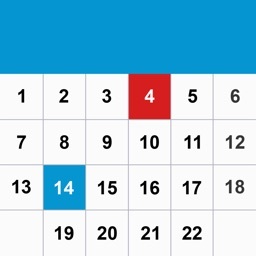 ★ Support large data set: you can create and save as many events/days as possible! 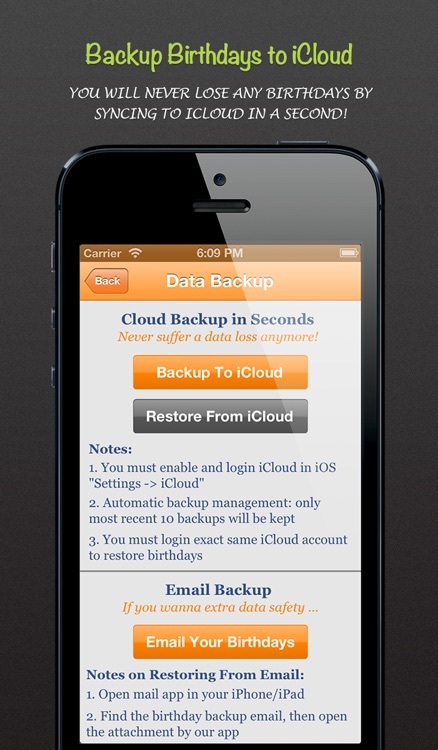 No performance loss!